Immigration officials have arrested nearly 300 convicted criminals in six states, including Wisconsin. 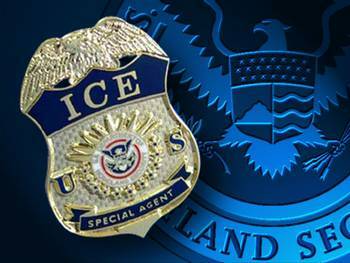 U.S. Immigration and Customs Enforcement (ICE) arrested 34 men (33 Mexican nationals and 1 Ecuadorian national) in Wisconsin. ICE says all of the suspects arrested in the Midwest sweep were convicted of crimes in the United States that fall under priorities for deportation. These convictions include robbery, drug possession, battery and drug trafficking.